Los Angeles – Despite the thunderstorm showers, celebrities and friends came out in full force for Just Jared’s Summer Bash Pool Party over the weekend. 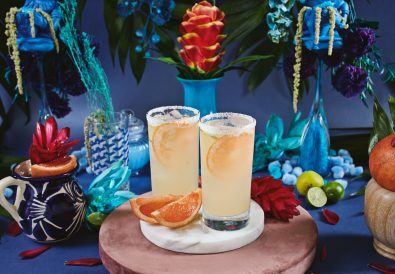 The day kicked off when The Duff heartthrob Robbie Amell and his fiancée, Chasing Life star Italia Ricci came arm in arm ready for a good time, enjoying a fun couples photo shoot, while snacking on SweeTARTS Chewy Sours. The couple’s day continued with Bella Thorne and her recently official beau, Gregg Sulkin stopping by the pool party. Bella rocked a cute string bikini top and blue shorts. The pair made sure to come color coordinated for some great photo opportunities. They were attached at the hip for the remainder of the party and were seen being extra cozy on the couches showing off their affection for one another. Ashley Tisdale arrived stunning in an all black ensemble, wearing leather overalls and a black crop top, with her husband Christopher French. The pair was very upbeat about the summer bash even though they were getting wet. They took to the dance floor with their umbrella in hand, feeling the music and dancing away. Bailee Madison played ping-pong and was thrilled to be at the bash, laughing with friends as the rainy weather did not phase her. She made sure to stop by the snow cone cart, for a tasty snack on her way out. Nolan Gould arrived shortly after, ready to head to the pool, dressed in his swim trucks and t-shirt. The two stars were seen hanging out and tossing the SweeTARTS beach ball around the pool. Peyton List arrived with brother Spencer List, eager to head into the party. They went straight for the Nerf Rebelle Blaster water guns, creating some fun sibling rivalry. They continued playfully grabbing some SweeTARTS and throwing them into each other’s mouths. Rich Kids of Beverly Hills stars, Dorothy Wang and Morgan Stewart came sporting sunglasses in spite of the light cloud cover, looking stylish in their trendy rompers. As the party was coming to an end, singer Nicole Scherzinger stopped by the party last minute with a few friends. She was seen mingling with Big Time Rush’s James Maslow. Just Jared party-goers stayed until the end enjoying the music stylings from DJ Dominic Carter, leaving the bash in a sugar coma, courtesy of SweeTARTS. 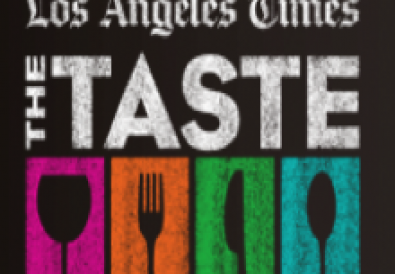 Buy Your Tickets for the LA Times 3-Day Food Festival, THE TASTE!